Photography Milky Way Tour Packages, This package is intended for those of you who like photography, maybe this is not a new thing for experienced photographers. This package has many uniqueness because we will focus the picture of Milky Way images on Mount Bromo. Rarely do people know about the beauty of milky way bromo mountain because if we talk about bromo mountain you will be directly fixed to the beauty of sunrise and active crater that can be seen directly from near. Mount bromo is famous for its beautiful natural beauty from rising sunrise and active vulcano. This package is the focus of the tour in the evening not many people know the beauty in the mt bromo at night. 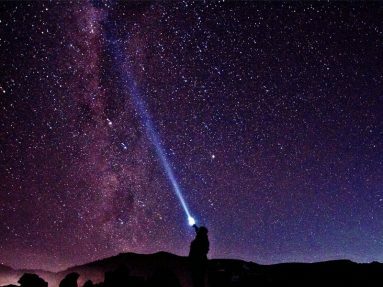 This is the latest breakthrough that we have for the night tour in bromo mountain, the beauty of milky way in this place has its own uniqueness because the background of the milky way it is a mount bromo and Tengger caldera. Pick up you by our driver or tour guide service in airport or train station at Surabaya or Malang based on your time schedule and drive to Cemoro lawang village for about 3 – 4 hour driving, you can stop wherever you want and talk to our tour guide or driver for lunch in local restaurant or toilet, after that we will continue driving to go to Cemoro Lawang village the last village at mount bromo. At 9.00 pm we will start to go to Sand of sea spot take picture milky way ( optional ). At 12.30 am wake up early for the preparation to take picture of Milky Way at sea of sand area and see the sunrise at Mount penanjakan with Jeep Bromo. 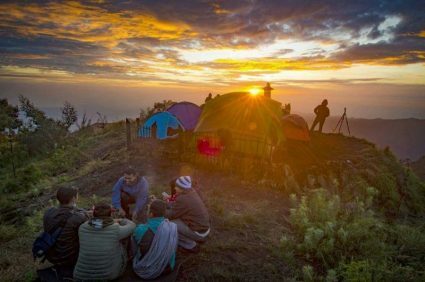 Arrive at the place to take picture the stargazing on mt bromo until finis and continue to mount penanjakan to see the sunrise enjoy the beautiful sunrise and surrounding. On this place you see the beautiful sunrise against the background of Mt Semeru and Mount Bromo, Mount Batok. After that, return to the Jeep and continue the journey continue to the crater of Bromo through a sea of ​​sand and by walking or rent horse to the top of Bromo crater. Transfer to Surabaya for about 3 hours driving. Arrive at Surabaya airport or Train Station and tour finish.